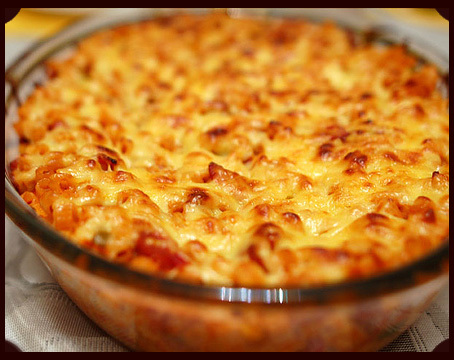 Here is a delicious fish casserole recipe. It's one of our favorites, so we wanted to post it on this page. You want to use about 2 litres of fish stock if possible. This fish casserole recipe will feed around 10 to 12 people and if made correctly, will have anybody who tries it begging for the recipe. The biggest choice you will have to make is which types of fish to use. We recommend hake, sea bream, whiting, catfish, and or dogfish. You do want to avoid any types of oily fish like trout or mackerel as they are better used for other casseroles or dishes. Start out by heating the clams, cockles, and mussels in a pan until the shells have opened. Make sure to strain the juickes and remove the shells. In a seperate pan, fry the bacon until browned, but not crips. Place bacon on paper towels to remove the grease. Using the same pan, pour some olive oil into it and fry the onion. Add the parsley, thyme, and garlic, and tomatoes. Stir this mixture together. The next step is to add the white wine and dry vermouth. Increaes the heat just a bit to get all the ingredients to bubble for about 1 to 2 minutes. Add the fish stock and make sure to mix everything togeter well. At this point, make sure to bring the pan to a boil. Reduce heat, and let pan simmer for about 5 minutes. Now it's time to add the fish. First cut them into bite sized pieces and add them to the pan. Add the bacon, cockles, prawns, clams, and mussels. Bring the stew back up to a boil and once again simmer for about 10 minutes. You can add some salt and pepper if needed. Your casserole is now ready. Feel free to move the mixture into a serving bowl or use the pan you cooked everything in. We also recommend having some bread and salad to start off the meal. This simple fish casserole recipe has many flavors and will be a crowd favorite for sure. When it comes to a fish casserole recipe, it can take some time and effort to perfect it. The perfect fish casserole can really vary depending on your personal taste. However, most casserole dishes should appeal to most fish lovers as the flavors combined in the dish give that beautiful aroma. 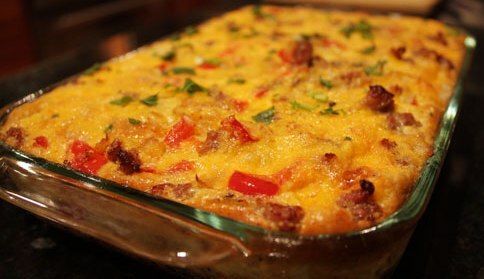 For some other lunch or dinner casserole dishes, check out our beef casserole recipes, chicken casserole recipes, or Italian casserole recipes. 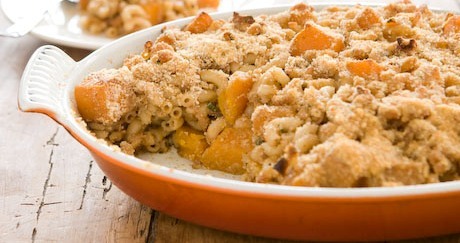 There are many different casseroles to try. Change some of them up a bit and make the casserole unique.